Fresh out of the box, create mischief alongside the Cat in the Hat in this Dr. Seuss Thing 1&2 Infant Costume. The Dr.Seuss-themed infant costume includes a red onesie, fuzzy hat, and interchangeable numbers 1 & 2 patches. The soft red onesie features a round patch at center chest with the word “THING” printed inside. The number patches attach to the onesie by velcro strips on back. 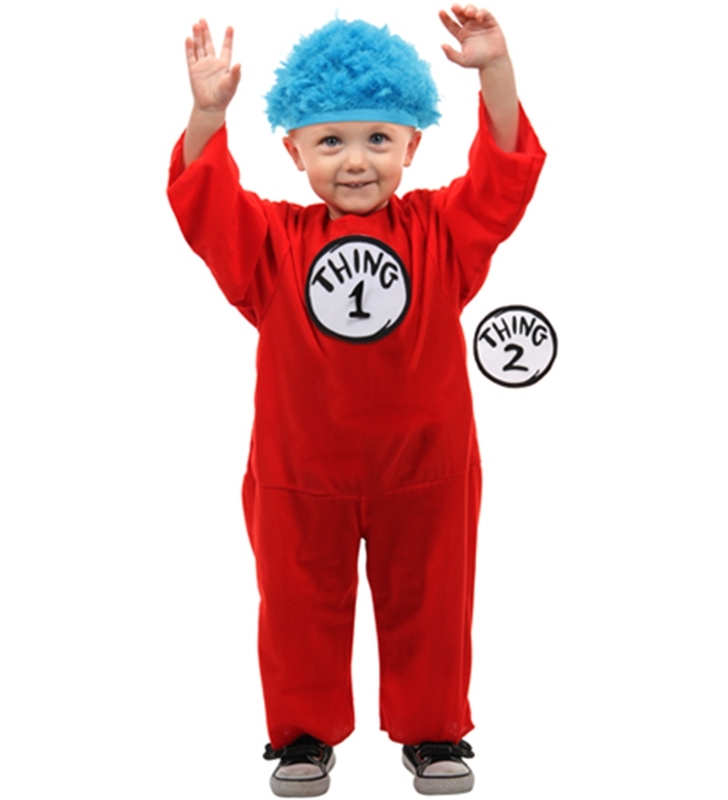 The curly blue hair wing completes your infant’s transformation this Halloween into Thing 1 or Thing 2.